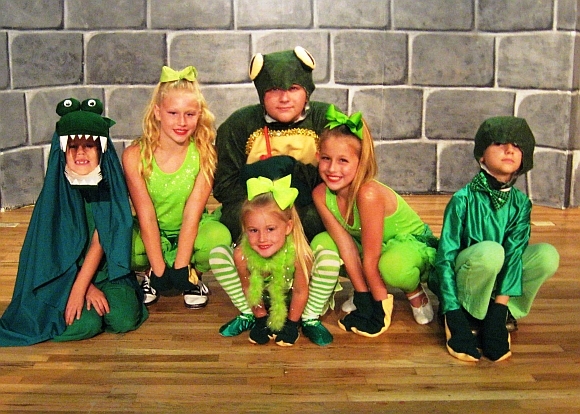 With rich humor for adults and children as well as delightful physical humor for even the youngest theatre goers, this play is a proven winner. 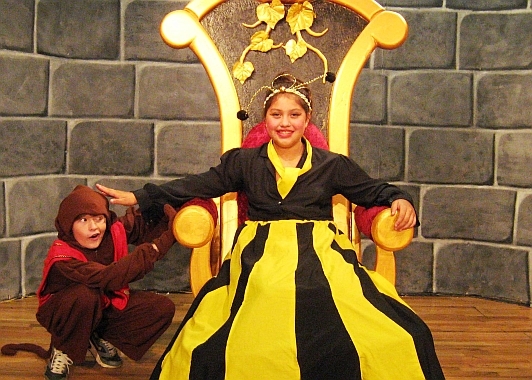 Its premiere production ran for months, playing to literally thousands of children, young and old. 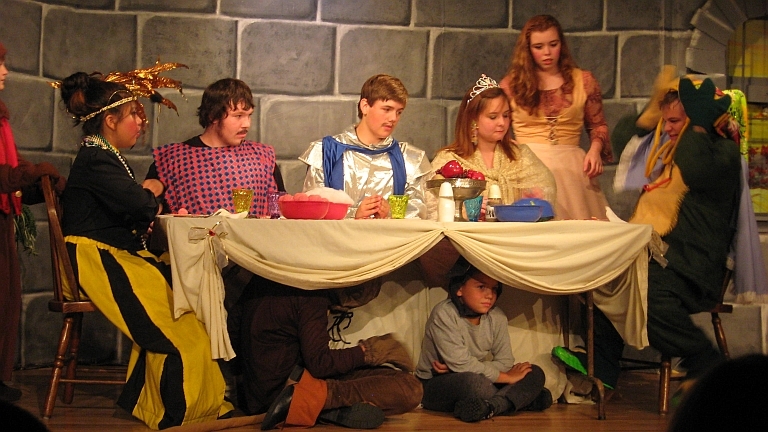 Hyronomous, an inept and lonely frog prince, lives in a bog in the kingdom of Spamelot. Hyronomous is bored and unhappy as a frog. He’s larger than the other frogs and hates the taste of flies. One day, the good witch Gloria appears to tell him he was once a human prince and it was a spell that turned him into an amphibian. To break this croak-filled wizardry, Hyronomous must be kissed by a maiden. 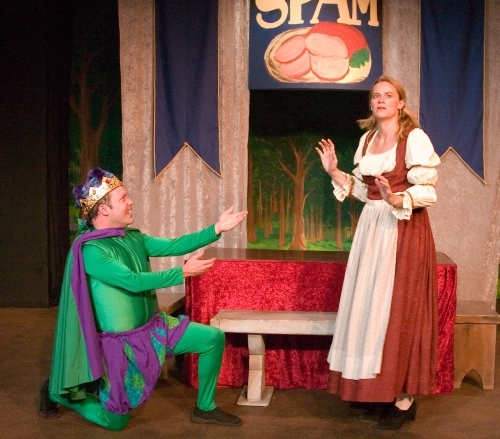 In a hysterical scene, he learns how to walk like a human and sets off for the castle of Spamelot. Read more...He sets his sights on the spoiled and petulant Princess Gladiola. 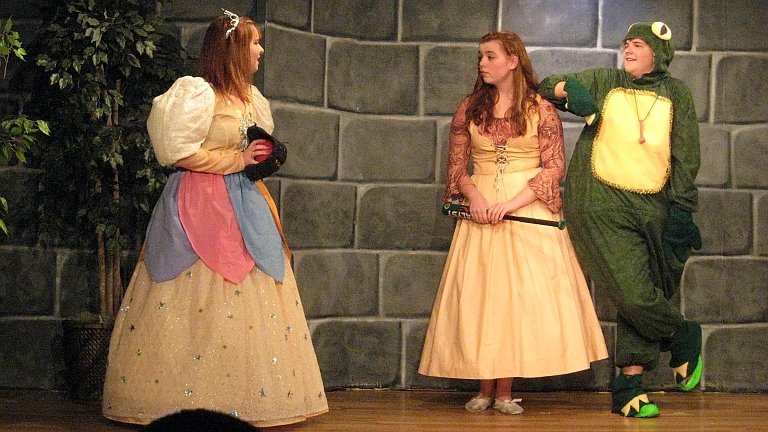 Gladiola is engaged to the painfully pompous Sir Lancelot Pancelot and he, of course, despises the frog at first sight. As Gladiola and Lancelot plot ways to get rid of Hyronomous, our green hero tries desperately to act like a human being. His attempt to act like a person at the dinner table turns into a hilarious scene... infuriating the princess. Luckily, he finds a friend in Delphinium, the handmaiden, and Aunt Queen Bea, who try to save him from the slings and arrows of the outrageous Gladiola. 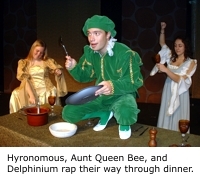 Our beloved frog finally gets his kiss from the handmaiden Delphinium, bringing about an ending full of wit and charm. I just think it was a great family show for kids and adults and at a reasonable price.